Ned David is a Kulkalaig – a traditional owner from the Central Islands in the Torres Strait - whose homeland includes Tudu (Warrior Island), Iama (Yam Island) Gebarr (Gabba Island) Mucar (Cap Island) Sassie Zagai (Long Island) the surrounding reefs of Wapa (Warrior reef) and Thidu (Dungeness). Ned is the current Chair of the Torres Strait Islanders Regional Education Council (TSIREC), a position he has held since April 2000. Ned is a member of various committees and forums. These include: Executive Member of the National Congress of Australia’s First People; Chair of the Magani Lagaugal Corporation which is the Native Title Registered Body Corporate for Iama (Yam Island) and Tudu; and Secretary of the Torres Strait Islanders Media Association (TSIMA). Ned has a very broad work history that includes government and private sector. 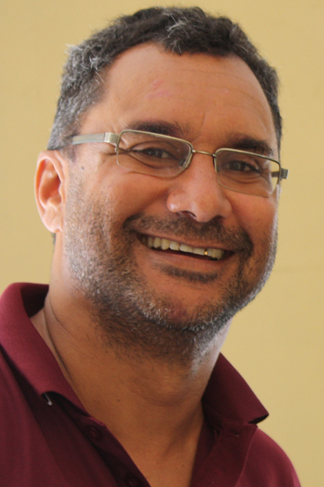 Ned’s current role as the Manager of Strategic Initiatives Bound for Success Torres Strait involves working across all sectors and agencies to improve life opportunities for all students in the Torres Strait.